A deep concern for the welfare of livestock animals is at the heart of Second Livestock. Our Animal-Computer Interfaces and Virtual Environments are tailored to meets the needs and desires of each species. Animals do not experience the world quite like humans and what may be important features for a human in a virtual environment may be inconsequential or perhaps even threatening for another species. We have consulted with experts who understand what the optimal virtual environment would look like for each animal and have tailored our environments to allow our birds to have a fulfilling existence. The enclosures are built to provide a comfortable and healthy home. Omni-directional treadmills provide livestock with the freedom to move freely in the virtual world. Each enclosure has independently filtered air to keep communicable diseases and parasites from spreading throughout the facility. The birds are fed a diverse, organic free range diet. 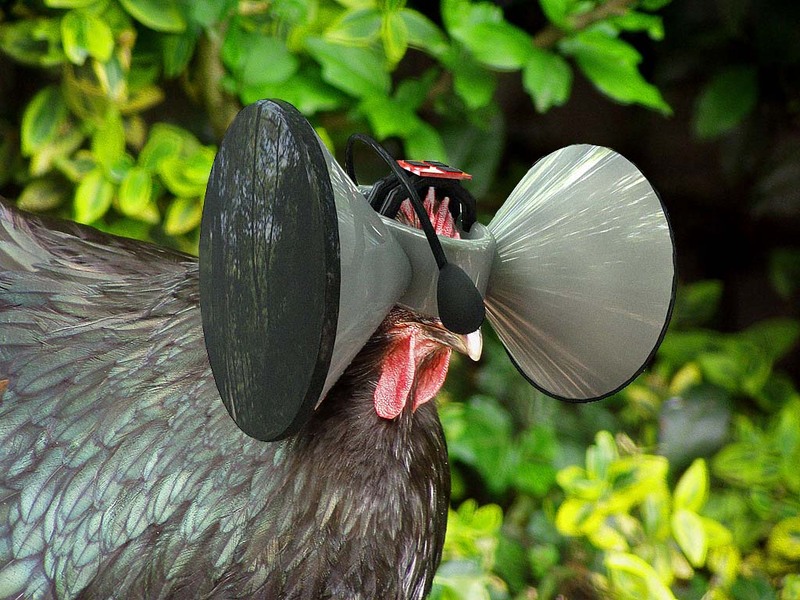 Though the animals spend their entire lives in a virtual world, light pipes use sunlight to illuminate the building during daylight hours to ensure that the birds produce sufficient levels of vitamin D.
The small and lightweight Animal-Computer Interfaces are designed to fit comfortably and allow chickens a full range of motion. In short, we go to great lenghts to ensure that our birds are treated as humanely as possible. It could be argued that they are better off in our facilities than they would be in the real world.